Scam colleges, more popularly known as “diploma mills” or “degree mills” throughout the United States and Canada (and beyond), are responsible for ruining thousands of lives every single year by falsely promising unsuspecting students stellar academic programs or job opportunities in exchange for exorbitant student fees and inflated “tuition” costs. And due to ongoing corruption in the U.S. higher education system and federal government, the number of scam colleges and universities continues to grow rapidly in North America in recent years, and is now headed overseas as well. The United States has long been known as a land of opportunity. In recent decades, however, the higher education sector has proven America to be more accurately a land of predatory opportunists – and should-be criminal ones at that. In the years surrounding World War I, the US economy exploded in growth as it continued to rapidly industrialize. This growth demanded large amounts of skilled workers who understood niche trade-crafts, but who didn’t necessarily require extensive educational backgrounds. Enter the modern US vocational training system, which was inspired greatly by 19th and 20th century educational models found in Germany (yes, the US opted to emulate German education, during the middle of an ideological war). Initially, many of these schools were founded by retired businessmen, academics, or other well-meaning souls looking to educate minorities, women, and the lower class. Patriotism, progressive politics, and government support played large parts in driving the massive growth of 20th century career training in North America. Fast-forward to the 1970s and 1980s, however, and we see the first significant handful of “predatory” racketeers making private investments into vocational training, purely as a profit-seeking business. These greedy investors, you see, had figured out that the federal student loan system didn’t specify which types of college education it could be applied towards. (That, along with American accreditation standards being carried out by non-governmental parties, created the perfect environment for large-scale cronyism.) With the advent of the internet in the 1990s, and the exponential increase of international students arriving to study in North America (esp. Canada, due to extremely relaxed immigration laws for students), the current amount of for-profit career training schools has reached an all-time high. In nearly ALL cases, scam schools are FOR-PROFIT institutions, focused mainly on CAREER TRAINING programs, and are NOT REGIONALLY ACCREDITED. In other words, students who attend these schools will pay astonishing amounts of money for credits and degrees (a.k.a. certificates/diplomas) that WILL NOT TRANSFER and that ARE NOT RECOGNIZED by mainstream employers or reputable universities. Typically these schools target entry-level ‘careers’ such as nurses, medical records clerks, computer technicians, car mechanics, and other jobs that traditionally require some form of certification but that usually do not require an accredited bachelor degree. (In recent years, schools have emphasized the “awesome!” sounding careers i.e. web design, crime scene investigators, pilots, etc.) In other words, students are often paying to be “certified” into a career they likely could achieve on their own at a local community college, through an internship, or by testing for it directly at the relevant local agency. In more tragic cases, the career that these students believe they are preparing for in fact requires a 4-year bachelor degree as a prerequisite, so all of their studies are completely worthless! Ultimately, these scams are quite successful in part because these “blue-collar” students often blame themselves for their lack of success in finding a job after they graduate. However, with the rise of consumer review websites on the internet such as CollegeTimes, the true colors of these institutions have grown increasingly obvious in recent years. Of course, being for-profit companies, this has simply turned their attention toward new tactics: suing web hosts, search engines, or users themselves for things like “libel” or “defamation” in an aggressive attempt to censor the web. To properly recognize a scam school, you first need to realize that these institutions excel at one particular thing – pretending to care about you and your career goals (right before stealing your money, of course). If you can grasp this concept, it becomes easier to understand why they go to such great lengths (and costs) to find new prospective students. This is called “student lead generation” in the higher education industry, and is controlled by some of the most vile and disgusting human beings on the planet. Paying commissions to recruiters is actually illegal in the United States, but that doesn’t stop these criminal enterprises from doing it anyway – often by going overseas. 1. Toll-Free Phone Numbers. This is one of the quickest, and easiest ways, to identify a likely scam school. Example: If a school has a 1-800-AWESOME type of toll-free phone number, its probably a scam school. Why would a legitimate university pay for all incoming phone calls? 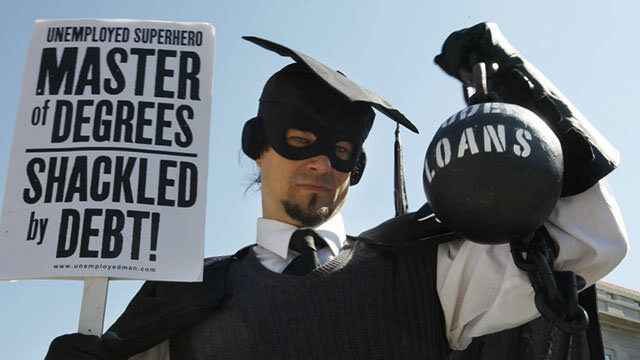 Remember: for-profit colleges will do anything for another lead. 2. No Public Email Addresses. Remember, these schools are paying hundreds, if not thousands, of sales agents to hunt down potential new targets (students). This massive database system is usually managed by CRM tools (Customer Relation Management) which relies on tracking sales commissions via phone conversations, or lengthy contact forms which are fed into a software database. These forms are spammed all over the internet, and request things like full name, email address, career goals, phone number – but somehow NEVER include direct contact information for the school. In other words, you are forced into a CRM system so that agents can earn their commissions. 3. Frequent Name Changes. Many for-profit institutions prefer to “take over” an established school that was previously public or non-profit and was suffering from bankruptcy or lack of funding. Why? Because they can claim to have been established much earlier than they actually were, and can trick the community and future students into thinking they have a stronger reputation. Whenever their reputation is becoming too poor, they simply change their name again using a Fictitious Business Name (FBN) a.k.a. “Doing Business As” (DBA) certificate, or if needed, completely reform the company into a new corporation and transfer all the assets and resources. 4. Somehow “established” 100+ years ago. If you see something like “We’ve been successfully training nurses since 1875!” then you should probably double-check for recent takeovers, name changes, or moves to a new campus location, which are all common signs pointing to a for-profit scam school. In the corporate world, there is something called a “shelf corporation” – i.e. a fake company established only on paper many years ago, sitting on the “shelf” waiting for a buyout offer. This allows the buyer to create a (false) reputation of being well-established and trusted. Although most for-profit colleges are not “shelf corporations”, they use buyouts and other tricks to accomplish the same goal. Even more disturbing, there are now “shelf universities” that investors can buy from firms in the Caribbean and elsewhere. God only knows why this practice is legal. 6. Emphasize how “fully accredited” they are. A fantastic example of how “fine print” in America enables all kinds of corruption and consumer fraud. In this case, it allows scam schools to function legally, as these schools often emphasize that they are “fully accredited” as a dishonest attempt to conceal their lack of regional accreditation – the only “real” accreditation in the United States. Most for-profit schools in the US are in fact accredited by organizations like the ACICS – a rather shady group that garners little respect from most reputable universities (or employers). 7. Passionate, negative reviews online. Thankfully, the internet is still one of the best defenses against consumer fraud (for now, anyway). Although many diploma mills hire dozens of lawyers to sue and harass anyone that speaks poorly about their schools, there are still usually a handful of surviving negative reviews online somewhere. Carefully check websites like CollegeTimes, RipOffReport, PissedConsumer, Yahoo Answers, and other websites that encourage free speech and consumer protection, and you should find a more accurate picture of the for-profit school you are considering. Currently, CollegeTimes is one of the ONLY “college review” websites left that does not except bribes from these scam schools. Communities like CollegeProwler, Unigo, Yelp, and other corporate investor-backed websites simply can’t be trusted anymore when it comes to retaining accurate – often negative – student reviews. (Note: scam schools often pay their marketing staff to leave fake “positive” student reviews all over the web, so keep this in mind if you come across reviews that seem too good to be true.). 8. Encourage “cult-like” communities. Whenever a student complains they’ve been lied to or scammed, diploma mills will nearly always respond by blaming the student for laziness or lack of effort. Scam schools usually make comments like “you get out of it what you put into it!” or simply make personal attacks against students who complain, trying to make them seem crazy. The ultimate goal of scam schools is to maintain a “Groupthink” atmosphere – scolding anyone that does not play along with the “values” of the school, and harassing any student that speaks up in disagreement or who demands a quality, legitimate education (which is impossible for the school to deliver). This cult-like mentality is especially prominent at schools that associate with a pseudo-religious culture such as Neumont University (Mormonism) based in Utah, or Maharishi University of Management (transcendental meditation) based in Iowa. 9. Tendency to sue or be sued. This one requires little explanation – scam schools are all-too-familiar with lawsuits, either because they are constantly getting sued by former students who were lied to or who want a refund, or because they are the ones doing the suing – trying to silence critics, remove information from websites, and so forth. A quick Google search (i.e. “XYZ University” + “lawsuit”) can often tell all. 10. Horribly unqualified faculty. Often more difficult to research in detail, but very conclusive if you can find out. Most academics or professors who are passionate about their field of study want to be associated with a college or university that is well-known or at least well-established in that specific field or department. For example, an accomplished biology researcher might want to join Johns Hopkins University. An ambitious computer scientist might become a professor at MIT. Or, a successful businessman who is retiring might become a professor at a community college to “give back” to local education. In very RARE cases does a talented, capable professor of any flavor exist at a for-profit college. Why? Because there is nothing to attract them! The salary pays less than a respected non-profit or public university, and the atmosphere is focused purely on financial gain and cutting corners – “profit” – rather than academics. In many cases, you will see former students hired immediately after graduating to teach classes at such institutions. 11. Have “International” in their name. In nearly every case, institutions that have the word “international” in their name have rather horrible reputations on the CollegeTimes consumer review database. Scam schools love putting “international” in their name to add an extra layer of romanticism to their already desperate reputations. Take for example, International University of Monaco who hides their rented campus building from all of their online profiles. Or perhaps Alliant International University who threatened CollegeTimes with a lawsuit for – surprise – hosting student reviews of their school. Or Hult International Business School, a scam school that pretends to be non-profit. Other favorite derivatives are terms like “European” or etc – you get the idea. this site is helpful for looking up another type of accreditation and how it’s recognized by the government. The Bureau of Labor and Statistics: They have a lot of information about which degree programs correlate to which employment rates. My Next Move: This site helps look at degree programs, and related careers so you can help find the right fit. C.H.E.A The Council for Higher Education Accreditation: This site helps look at accreditation types and what programs fit which types of accreditation. You can also access specific region’s listings of accredited universities through links provided on the CHEA site to the official accreditor’s page. This is the most up to date way to check an organization’s accreditation status. There is also information regarding known high school and college “diploma mills” to check for programs that are known to not be well recognized. thank you very much, u saved my life i was planning to take admission in HULT INTERNATIONAL but not anymore. I really appreciate the hard work that u hv put in to collect all the data, keep up the good work.. These charges stemmed from me fighting to keep my job and work with the students who need a good education to face the world with at least a fighting chance. I was arrested waiting for a bus. I want to teach and assist poor and minority students earn degrees so they can better their lives. As a African American Educator I feel the need to provide students but especially students of color every opportunity to persist in College. Commitment to your students is the key to a successful career in education, My students worked hard and grew. I was determined to work toward their graduation. To give a student a chance to succeed it requires you to be teacher, mentor counselor and in time FRIEND. On the night I was arrested I was sent to Central Booking at 161st street in The Bronx, Going to jail is harsh, but one of my former students was the intake clerk for criminal session. She remembered me and took it upon herself to protect me from the harsh realities of incarceration. She tried to expedite my trial process going to night court twice to assist in me being released. My point here is teaching has its rewards. My student remembered and showed me in a deeply personal way that she valued the instruction I provided. Federal and state financial aid funds available to these students has made the family owned proprietary DIPLOMA MILL Millions of dollars. The risk of financial ruin is over the head of every student of color who rather than go to a public state supported school, goes to a private school seeking a better life. I was fired for being there for my students and doing everything in my power to make them successful. A TOP ADMINISTRATOR sent emails to all departments seeking evidence of my incompetence to provide the paper trail for my dismissal. Keep in touch with me through FACEBOOK and we will get you to graduation. ASK administration relevant questions as to my departure, Why would you fire a professor WE all SUPPORTED ? And if we attended his classes and did his work why would you say to him that he gave us grades we didn’t deserve? I will update you on the progress of my career. ‘I’m 62 years old and face early retirement I would love to close out my last few years teaching some of the BEST PEOPLE IN THE WORLD. FIND ME ON FACE BOOK IF YOU HAVE EVER ATTENDED THIS DIPLOMA MILL AND SPARE OTHERS!! I’m trying to understand your lengthy story. You said you were “dismissed for passing all of your students” & the “Owner” of the college “asked the 52nd precinct commander to come arrest me in an attempt to ruin my reputation.” A former student “helped you with the trial process.” Something’s missing and I suspect it has to do with “Aggravated Harassment -2nd degree,” that you typed but with no other explanation. Be honest and explain what really happened because the NYC Police don’t arrest and jail people based on how they graded students in a class. I don’t know how this “comment” even got posted. Well written article and very informative. I had no idea that this was even an issue, who would have thought that this is happening. I would be furious if my college that I had just payed a huge chunk of money to had scammed me. I feel sorry for the folks who are scammed in a year. This is something that really deserves some attention, especially by students who are about to enter college.